For someone who wants to start a career in trading assets on the internet, they first have to learn this art. You are fortunate to be living in a time where you have almost everything you need to trade on the internet. All the courses, techniques, strategies, etc. that you need are only a few clicks away. However, the biggest challenge you will face when you have a lot of information is to pick the information that’s most authentic and useful. That’s where websites like DailyFX come into the picture. DailyFX is one of the biggest hubs of trading knowledge and training material online. First, let’s find out what the most important factors are that you have to consider before picking up a course. The first thing you have to look at is the quality of the trading course. It does not matter how in-depth the course is when it has been compiled by people who have no understanding of the industry. So, how do you find out about the quality of the course? You just have to look at the people who are behind that course material. These people have to be related and connected to the industry in some way. In most cases, the best courses come from people who have not only remained a part of the industry but are a part of the industry at the time of writing their material. The second thing you have to look at is how the course has been arranged. It has to be in a format that can be easily comprehended. What you don’t want is a lump of material that is the same for everyone. You might be someone who wants to understand things from the start. At the same time, there might be someone who knows the basics but wants to learn the advance knowledge. The course you pick should be compiled separately for beginners, advanced learners, and experts. That’s the most important thing for most of the learners. You want to learn trading but you don’t have money to pay for the course. If you are a beginner, you don’t want to spend the money you have saved to open a trading account on buying the course material. Sometimes, the course material is extremely expensive. How much someone charges for the course can also depend on the type of the Forex broker you are looking at. You will be surprised to know that some online companies are giving you access to all of their training material for free. You can take a look at the requirement stated above and then notice the course from DailyFX. You will find that the course from the company meets all of these requirements. Let’s take a look at the factors that make it one of the best trading courses available on the internet. The first thing you will love about this course is that it is very detailed. There is not a topic about trading that this course misses. Starting from the basic understanding of trading and the financial markets, this course goes in the details of various technical charts and analysis that experts use before entering into trades. While you can use many elements of this course when trading in other financial markets, they are mainly targeted at individuals who want to be a part of the forex market. This particular point proves that DailyFX is one of the most generous schools online for traders. It does not matter which level of trader you are, the training material is available for free. There are many different types of guides and other training material that is available to you for no cost at all. There are mainly four guides that can help you trade safely and successfully in the forex market. All of these guides are available for free. You just have to give your email address and have those guides emailed to you for free. You won’t find many other online places with such a high level of generosity. One has to admire how all the training material on DailyFX has been arranged. You must have known from experience that most of the free stuff on the internet compromises on quality. That’s something you don’t notice here. Despite being completely free of cost, all the components of the course are available in an organized manner. You will see that there are four different categories for you to choose from i.e. Beginner, Intermediate, Advanced, and Expert. You just have to know which level of learner you belong to and access the training material without spending anything. When you click on any of the course levels, you access the table of content of that course. You can click on any topic of the course to access it directly. On every page, there is as link to the next page as well so you don’t have to keep pressing forward and backward buttons on your browser. Most importantly, all the main titles, subheadings, and bullet points have been provided in the table of content. You can click on the topic to know more about it. There is no doubt about the fact that information is much easily accepted by humans when it is in the form of visuals. You will notice with the modern books and ebooks that they almost always have visuals in them. Visuals are not there only to get attention. In fact, they are the perfect vehicles for making difficult things easy for the readers. That’s what you will notice with the DailyFX course as well. Every topic in the book has been supported and explained with graphs, charts, and illustrations. Right from the candlesticks and their meanings to the many different types of triangles, you will see visuals that will make it easy for you to understand the course. As mentioned earlier, you will gain access to these guides for free. You just have to give out your email address to have a free copy delivered to you in your email. However, you need to learn a little in detail about the guides that DailyFX has compiled for you. There are four different types of guides so each guide will offer you some value. You will know that you are not signing up to get a guide that explains trivial stuff. The first type of guide you see in this section is about forecasts and guides. All you have to do is choose the type of guide you want and the type of learner you are to have the guide delivered to your email address. One of the most valuable guides from DailyFX is the introduction to Bitcoin trading. If you are in touch with the financial market, you must be aware of the cryptocurrency market as well. Cryptocurrencies are spreading as the time passes. Their popularity has increased so much in the recent years that many online brokers have now included them on their platforms. The interest in cryptocurrency market has also increased tremendously in the recent years. If not the cryptocurrencies, the broker will give you access to the crypto market in the form of CFD trading. However, it is important that you understand the particulars of the crypto market. It is an extremely volatile market and can behave differently than other financial assets. Not to mention, there are different factors that affect the movement of this market. It is also important to mention here that cryptocurrency market is new and even the most experienced traders in other financial markets have to learn about crypto market before stepping into it. You can learn all of that by getting access to the Introduction to Bitcoin Trading guide. Once again, all you have to do is give your email address on the web form and the guide will be sent to you in your inbox. Due to the ease that internet has brought with it, more and more people want to trade in the forex market today. In the forex market, you have to trade one currency for another currency. There are many factors that can affect the value of the currency pairs. You have to understand those factors and the way to enter into trades to benefit from the various phases of the market. Keep in mind that you can benefit from this market by selling and buying both. However, you have to know the strategies that help you make profits on your trades. This free guide tells you all about the basics of the forex market and how to trade in it. What Makes a Successful Trader is a guide that should be downloaded and read by any person in the world who wants to be a trader. This particular guide talks about all the mistakes that people end up making when they start trading for the first time. Knowing these traits helps these new traders understand how they have to act when the market responds in a certain way. It also sheds light on all the major mistakes that traders frequently make and end up with losses. 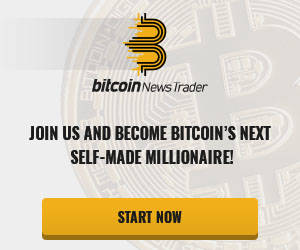 It gives you information about how the best traders in the world make their trades profitable. Not to mention, the best play at times is not to play. This guide can explain that strategy as well. The live webinar section on the website is one of the most comprehensive and intuitive on the internet. It might come to you as a surprise but you just need to provide your email address and name to register for a webinar. On the webinar page, you will see the dates and the webinars on that particular day. By clicking on the webinar’s name, you can also find out about the speaker who will be hosting the webinar. If you think a webinar is right for you, just click on the register button and you will save a place for yourself on that day and time. It is amazing that click on the register button of the webinar tells you about the host who is to speak at the webinar. By reading some basic information about the speaker, you can know that it is some expert you will be listening to. Everything they talk about is going to be important. In order for a trader to execute successful trades, he/she has to do a lot of analysis. In most cases, when you sign up with online brokers, you have to pay to activate your account to gain access to the indicators. However, all the important indicators that can help you with successful trades are available on the website. You can know about the overall market sentiment based on the analysis on the grounds. You will also receive daily technical reports to know how an asset might perform in the coming days. Of course, the support and resistance information is also available for free. People who take advantage of the Ichimoku trading strategy know the important of resistance and support. You also have detailed technical analysis on support and resistance to take well-informed decisions about your trades. In short, everything that you need to start your trading career is available on DailyFX for free. There is no need for a paid course once you have spent a few weeks learning on this website. 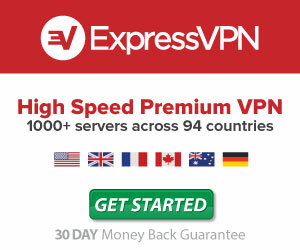 Despite there being so much information on the internet, you will hardly find anything for free. Every piece of information has some price attached to it. It is only on DailyFX that you find some of the most valuable courses on trading for free. Even when you sign up with a broker, you have to make a minimum deposit to get access to the training material. 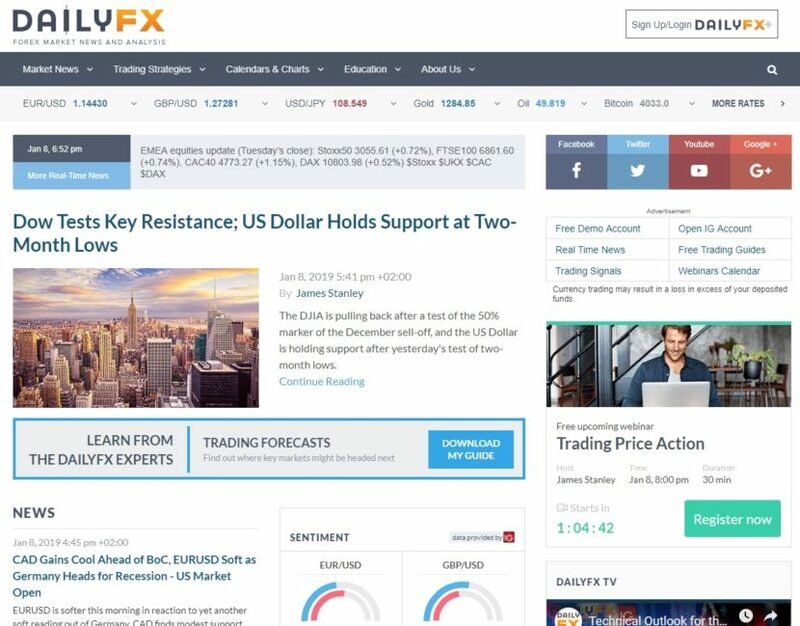 DailyFX brings you market analyses, technical reports, daily charts, etc. for free. So, if you have made up your mind that you want to be a professional trader, make DailyFX your starting point.